A lot can be said about the Alaska dress code. In fact, one media source went as far as listing Anchorage, the state’s largest city, among the top worst dressed U.S. cities. Well, we are here to set the record straight about Alaska fashion. Yes, Alaska fashion does actually exist! And, no, it isn’t limited to Xtratuff boots and Carhartt pants, though those items are definitely easy to spot in the 49th state. Moreover, Alaska is now home to a growing number of local brands that combine beauty, quality and practicality. Sure, there was a time when shopping in Anchorage meant a trip to a chain department store; but, as the state’s population and popularity with travelers continues to grow, so does its fashion scene. Alaska’s shopping scene still lacks some of the major chain stores found in most of the Lower 48 states, but what we lack in big name brands we more than make up for with fantastic apparel that has already begun to leave its mark on out-of-state markets. Alaska fashion tends to fall on the more casual end of the style spectrum. Here, comfort and practicality are key, as there is no telling where the day will take you. Vests, decorative headbands, printed skirts and fun jewelry compliment rugged jeans, brown boots, snow shoes and thermal shirts. To start out your tour of Alaska’s fashion hot spots, dash into Octopus Ink Clothing on downtown Anchorage’s G Street. 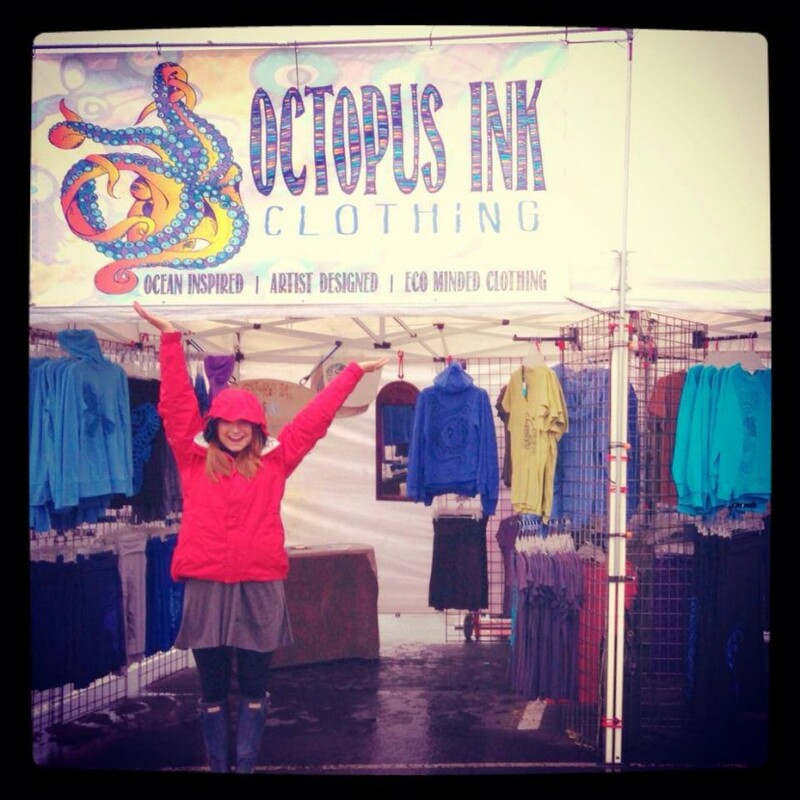 Octopus Ink is an eco-friendly brand of primarily organic cotton clothing including shirts, hoodies, skirts and jackets. Aside from the comfy feel, the clothes’ unique and intricate prints illustrated by brand creator Shara Dorris, feature outdoor themes such as octopi, bicycles, the Anchorage skyline, kayaks, whales and more. The shop also features handmade art and jewelry from fellow Alaskan artists. Thanks to the success of this brand in Alaska, Dorris opened a second shop in Hawaii, her second home. 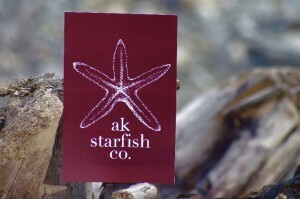 Alaska Starfish Co.’s flagship store can be found on Spenard Road in midtown Anchorage and is another brand inspired by Alaska’s great outdoors and the creativity of its creator Marcy L. Nelson. You’ll easily identify this brand by the signature starfish that adorns shirts, pants, skirts, hats, bags and other clothing necessities for all ages and genders. Designs are both playful and classic and can easily be dressed up with the proper accessories. 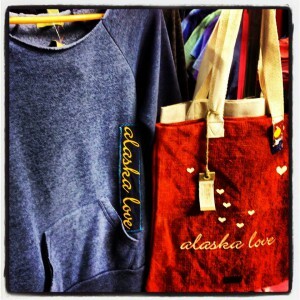 Alaska Love Clothing and Alaska Chicks are two other brands that are popular among visitors and locals alike thanks to bold designs and state pride. Most of these brands offer online stores if you want to get some Alaska fashion before you make the trip north, and much of the clothing and jewelry can be found in boutique shops across the state and at local farmers markets and state fairs. Your staff at the front desk of the Princess Lodge where you’re staying will gladly direct you to the nearest store or boutique carrying local brands. Now, go get dressed up – or should we say dressed down – in Alaska fashion.